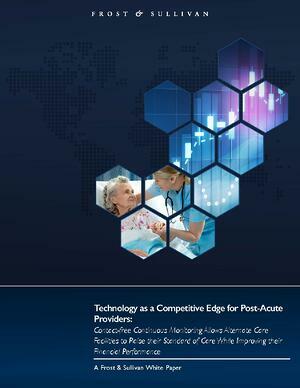 Today's post-acute facilities face unprecedented challenges thanks to constantly changing regulations, rapid technological advancements, and ever-increasing competition. Frost & Sullivan's latest white paper shows how Contact-free continuous monitoring may just help turn these challenges into opportunities. Shifting from low to high-acuity patients. Staff shortages and increased labor costs.